Hello, Friday. Nice to see you again. What took you so long? Michigan preschooler gets a robotic hand from a high school robotics team. Elves at Starbucks. This cosplay makes me happy. Musical Notation as Interpreted by Cats. Gifs for musical cat lovers. Or cat-loving musicians. Something. Friday again? Didn’t we just have one of these like a week ago? Oh, and I know it’s last minute, but if you’re in the East Lansing area, I’ll be doing a session tomorrow afternoon at Write on the Red Cedar. Anyway, have some links, and enjoy the weekend! Australian scientists apologize for not having created dragons. And then they go ahead and make one. FOR SCIENCE! Indiana Jones/Gingerbread Man crossover. In LEGO. There are no words for this one. Just click and appreciate. Ice balls on the shore of Lake Michigan. In a truly civilized world, temperatures of -16 degrees Fahrenheit would be adequate cause for everyone to go back to bed. Dogs and cats playing in the snow. LEGO pug, by Marco Bessa. Available with or without bow tie. Short video of a soldier’s reunion with his two dogs. Look at those tails wag! 10 cats with amusing/cool fur markings. The two-faced kitten is gorgeous, and I love the one with the little top hat. For Christmas this year I want more Fridays and more cool stuff. And also a movie deal. 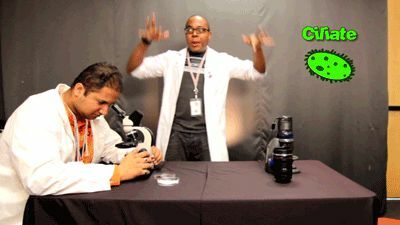 Animated gifs of various chemical reactions. 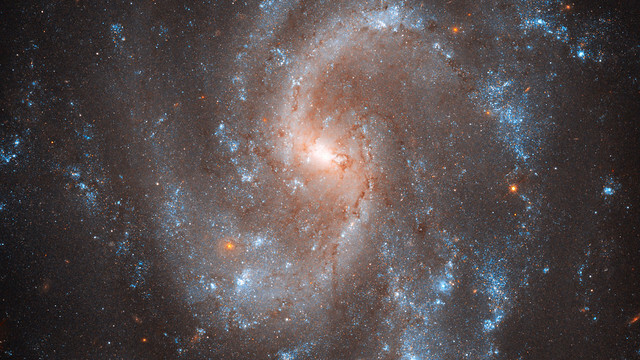 (Found on Diane Duane’s Tumblr) Because science is awesome! Instructions for making TARDIS, Star Wars, Mario, and other Christmas ornaments out of LEGO. (Found via the Mary Sue) Um … if you need me, I’ll be digging through our LEGO supplies, looking for blue bricks. The True Shape of Snowflakes. 3-D photos/scans of snowflakes before they hit the ground. Also see MASC’s Snowflake Showcase. Cookie Monster in Sesame Street’s Lord of the Rings Parody. Back when I was a kid, our paper airplanes — oh, who am I kidding. I WANT TO TURN MY PAPER AIRPLANES INTO SMARTPHONE-CONTROLLED PLANES TOO! And finally, a video of a crow using a mayonnaise lid as an impromptu sled. I don’t know about you, but I’m tired and ready for some things to smile about. High-resolution, zoomable and navigable version is here. Anyway, here – have some links of fun and niftiness! Nadya Vessey’s Prosthetic Mermaid Tail, Courtesy of Weta Workshop. Check out this photo of Comet ISON, by Damian Peach. Fox diving into the snow, from photographer Richard Peters. 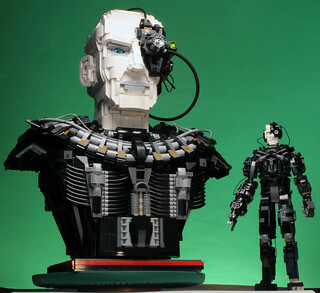 Finally, Shawn Snyder built LEGO Borg. First off, a self-promo link. 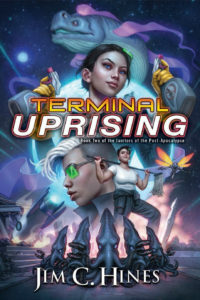 For any SFWA members who might be interested, I’ve posted a copy of my story “Stranger vs. the Malevolent Malignancy” in the SFWA Forums. This is the superhero-with-cancer story I’ve spoken about. Lion cub playing in leaves. The Hungry Games: Catching Fur. Sesame Street does a Hunger Games: Catching Fire parody. Photos of Comet ISON. I need to haul out my telescope and camera! Finally, the folks at Bright Bricks built a giant snowglobe and filled it with a LEGO London. Click for more pics. I’m off to Windycon. Have some cool stuff! The LEGO Movie has a trailer. And Wonder Woman. And Abraham Lincoln in a rocket chair.